Are you finding that your properties are not renting out as quickly as you need? Fast Forward Property Management, a Bay Area property management leader, offers a comprehensive analysis on improving vacancy rates, which is often a costly problem for many property owners. 1. Rents are set too high Rents that are higher than comparable properties nearby mean that the property is not competitive. Most people looking for an apartment will call and tour several complexes before making a decision. Unless there are special amenities on-site that justify higher rents, property owners should set rents in the competitive range. 2. Poor curb appealPoor curb appeal at a property can be a contributing problem. People do not tour or apply when grounds appear to be neglected. Factors such as peeling paint, poor landscaping, broken gates, dilapidated vehicles, weeds, trash, and liquor bottles scattered throughout the property are strong deterrents and will not attract quality residents. We recommend that a property be kept clean, in good repair, and up-to-date in all appearances. 3. Being availableBeing easy to reach by phone is important: most prospects will make more than a dozen phone calls to price shop and make appointments to view properties. If there is not someone available to answer the phone, potential business is lost. If you miss a call, make every effort to return the call within the hour from when the call was made. Landlords who answer their calls and promptly return messages will get the most traffic, ensuring higher occupancy. When showing units, it is crucial that managers make time to show vacant units on request, and not just on the weekends or several days later, when convenient for them. Many managers of smaller properties have other jobs, but it is important that there be a backup to show units at all times. If a prospective resident is unable to see the property, the chance of losing them to a property they can view is almost certain. 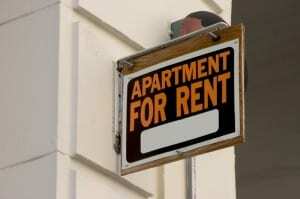 4.Management has weak sales and closing skills for leasing apartmentsRenting an apartment effectively takes good sales and customer service skills. Whoever is showing the unit should try to build rapport with the prospects, point out key features of the property and unit, and get the person to visualize living there. At the end of the meeting, the manager or leasing agent should ask for a deposit contingent upon the potential resident passing a background, employment, and/or credit screening. If they will not commit, the manager should make an appointment for them to come back and follow up with a phone call. 5.Ineffective advertisingEffective advertisements are well written and feature pictures. They should be posted through multiple venues. Online ads must be reposted regularly to show up at the top of the list. The building should feature a quality, visible For Rent sign that can be seen from the street. 6.Vacant units are not ready to showWhen a unit becomes vacant, it should be made ready to rent within four days so that it can be quickly filled again. If a unit is trashed or needs remodeling, it will take longer, but should be cleaned and painted as quickly as possible. We have visited properties where the owner told us about months of vacancies yet none of the units were move-in ready, notes a Fast Forward Property Manager spokesperson. Units should never be shown unless they are clean and ready. Most people cannot look past a dirty bathroom, stains on the carpet, or a hole in the wall even if they are assured that it will be repaired and cleaned before they move in. For more information about filling high vacancies, property management, and other services provided by Fast Forward Property Management, visit them on the web at http://www.FastForwardPM.com, or call (877) 388-0998. Fast Forward Property Management is a property management firm in the San Francisco Bay Area that specializes in managing apartment buildings, HOA, and commercial properties. The staff at Fast Forward Property Management has over 40 years experience in rental management. They offer the Greater Bay Area communities of Sacramento, San Francisco, San Jose, Santa Rosa, and Sonoma County property management services.